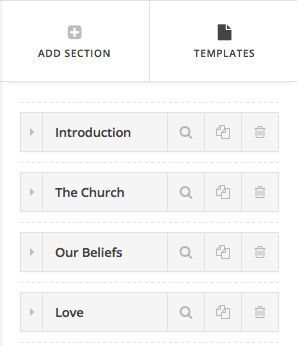 Hello, I'd like to know am I able to change the "Category archive" text in that brown bar for the events/blog pages to say Blog, Events, etc? Also, how can I remove the widgets so the content is centered on the page like the mission page?. I really like the About page and the way it's set up; is there a way to duplicate/upload this page (or others I like) easily? Thanks for writing in! 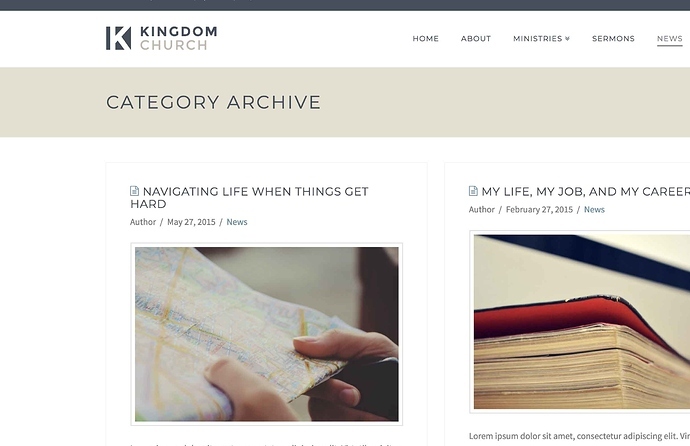 Simply edit your Category and set a Archive Title. 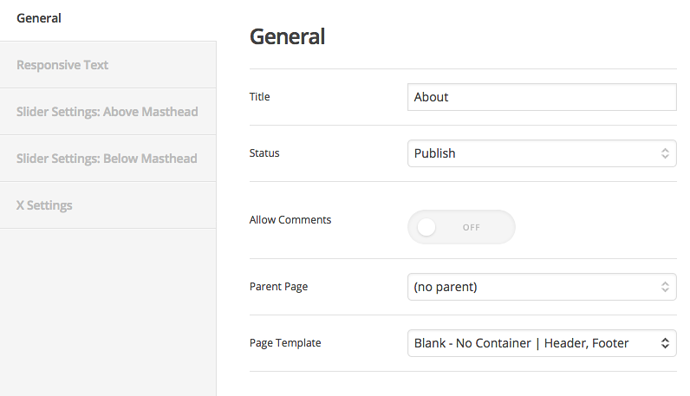 To remove sidebar, you can select a full-width template or similar template by head over to Cornerstone settings. You can save and load page templates by head over to Templates section. Totally helped, just can't find where these Cornerstone settings you mentioned and pictured are? Thanks! You can access settings through the following icon. oh wow, sure does help - that's a game changer I never knew existed! You rock, again, thank you!